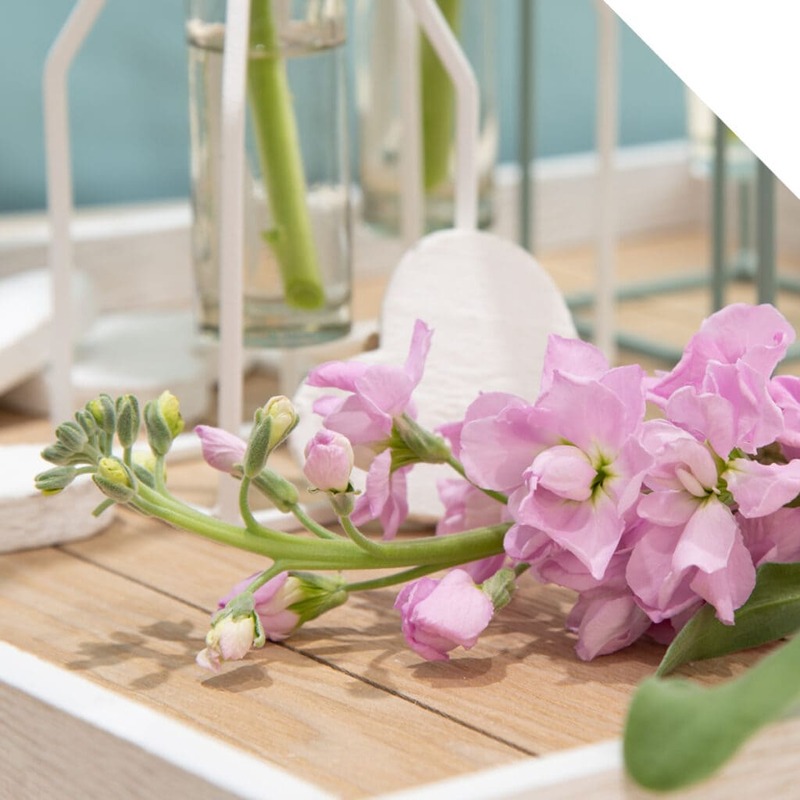 Home > Blog > Design Inspiration > Why You Must Offer Stock (Matthiola) for Valentine’s Day! Why do you have to offer your customers Stock (Matthiola) for Valentine’s Day? Because Stock is becoming more and more the flower of choice for the new generation. The available colors blend easily in all major floral design trends for this year. Stock is mostly known for its aroma. Its spicy fragrance will captivate all your senses! Did you know that the human brain connects feelings and memories in a heartbeat when it discovers a familiar scent? That’s why Stock is a perfect flower to show love, and to share happy memories! Another great thing to surprise your Millennial customers is to be spot-on with the latest design trends. One of them is the Pantone Color of The Year 2019: Living Coral. 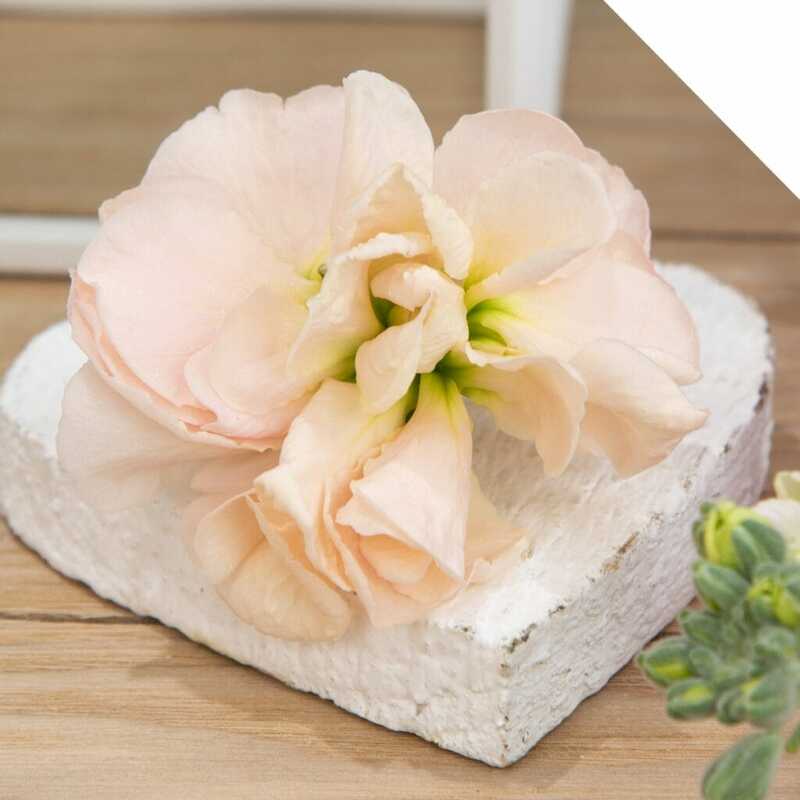 There is a wide range of perfectly matching flowers to this fantastic, vibrant color, and peach-colored Stock can be used perfectly with these! Ecuadorian Stock at Holex USA: Superb Quality! Holex USA offers Stock from Ecuador in 70cm stem length, thick size stems, packed in 10 stem bunches, and packed in a quarter box holding about 12 bunches or 120 stems. 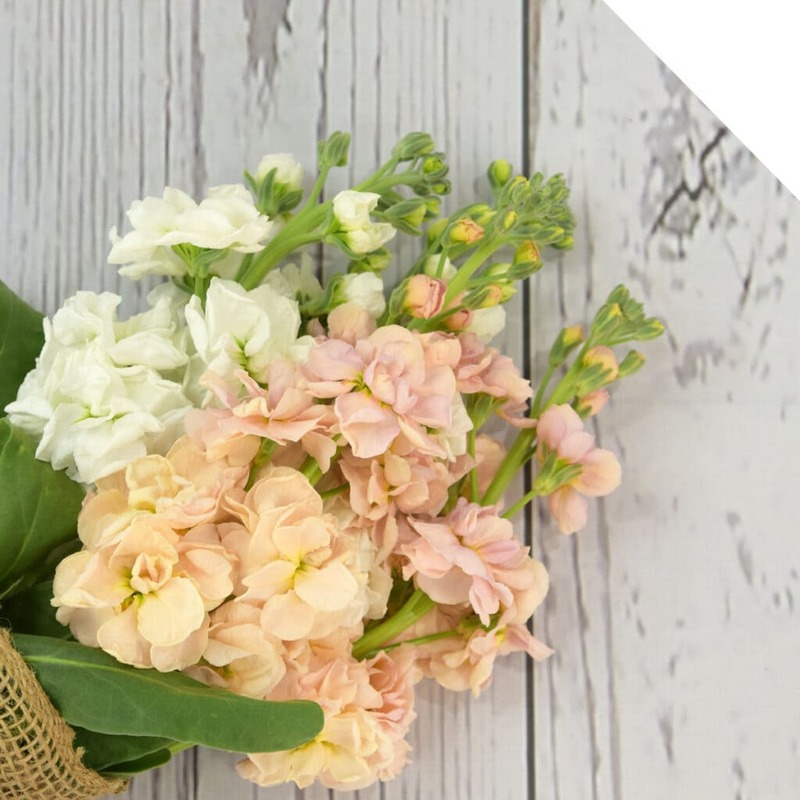 With a wide selection of colors ranging from White, to Red, Pink, Lavender, Purple, Dark Purple, Peach and Dark Pink, every floral designer will find his/her flower of choice. Multiple colors can also be combined in an assortment box of colors if needed. Buy Stock Now in Our Webshop! Sales representatives are waiting for your call, ready to offer you this year’s flower of choice! Don’t forget to Stock up, on your Stock flowers today. If you have any questions, please contact your Account Manager. Go to the Miami tab in the webshop and place your order now! Stock (Matthiola) can also be found in the Holland webshop tab. Please take a look for the current offerings. When you’re not a US customer and you have any questions about availability and pricing, please contact your Account Manager.